Anything worth doing is worth over-doing and this garden shed certainly proves that. 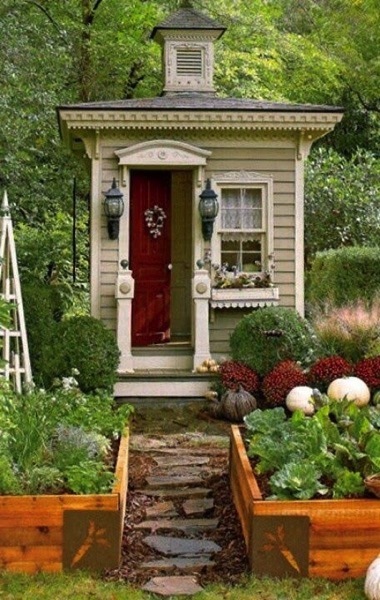 I could live in this garden shed along with the shovels, rakes and hoes, I think. Categorized under: DIY, Garden Decor, Projects.